For three decades Pakistan’s military establishment has stoutly denied supporting violent religious groups irrespective of whether a group’s target lay across national borders or, instead, its goal was to achieve specific political objectives within Pakistan. But today the military’s attitude is more ambivalent. Both serving and retired senior army officers are now openly expressing support for some groups. These include the newly emerged religious parties opposed to the PML-N government, notably Hafiz Saeed’s Milli Muslim League (MML) and Khadim Hussain Rizvi’s Tehreek Labbaik Ya Rasool Allah (TLYRA). Religious groups have already made their debut on the national scene and their initial successes — as in the NA-120 by-elections — are considerable. In a video that went viral, the serving DG of the Punjab Rangers, Maj-Gen Azhar Naveed, can be seen handing out coupons of Rs1000 to TLYRA demonstrators while assuring them support — “kya hum bhi aap kay saath nahin hain?” The demonstrators had tortured policemen while protesting a religious issue subsequently corrected by the government. Their dharna had been declared illegal by the Islamabad High Court which had specifically criticised COAS Gen Qamar Jawed Bajwa for opting to act as a mediator rather than follow the government’s orders. Operation Zarb-i-Azb’s success has persuaded the army that deviant militants can be successfully crushed. 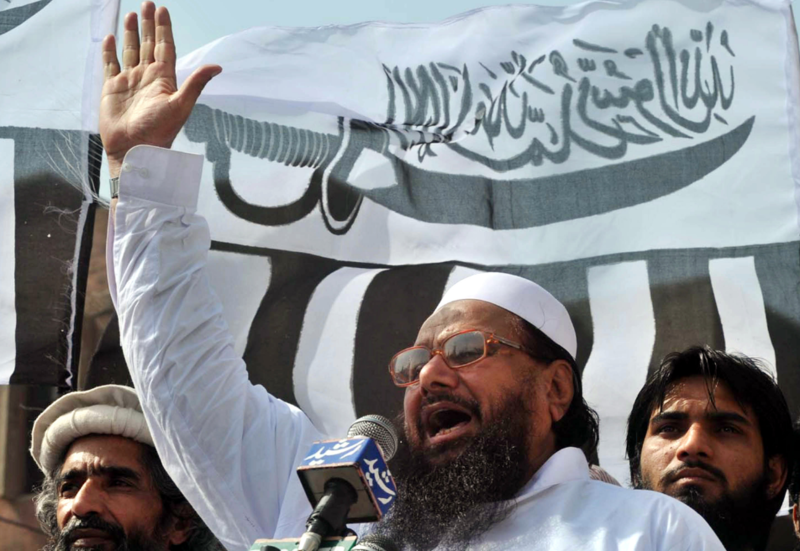 Retired Gen Musharraf’s recent televised praise of Hafiz Saeed also reflects a changed stance. Declaring that “I am the greatest supporter of LeT”, he asserted that “LeT and JuD are both very good organisations of Pakistan” because “I have always been in favour of action in Kashmir and I have always been in favour of pressuring the Indian army in Kashmir”. This is a remarkable turnaround — one recalls that Musharraf’s government had declared LeT a terrorist organisation and banned it on Jan 12, 2002. Militant groups operating against Indian rule in Kashmir have always been looked favourably upon by the security establishment— this fact has never been in question. At the same time, Operation Raddul Fasaad (elimination of internal conflict) points to a recognition in army quarters of the serious danger involved; more Pakistani soldiers have been killed by jihadists turned bad than those in four Pakistan-India wars. A line of reasoning — attributed to former ISI DG Lt-Gen Rizwan Akhtar — therefore found its way into military circles. It was argued that allowing militant organisations to enter mainstream national politics would channel energies of militant groups away from violence and towards peaceful politics. While deradicalisation through mainstreaming could make sense, what mainstreaming meant was never publicly discussed. Does it include allowing former militants into the police and armed forces as well as government? Would organisations presently active overseas such as Falah-i-Insaniat (LeT’s charity arm currently operates in seven countries) become the USAID/DFID of Pakistan? The mainstreaming argument could have been made at anytime — even decades earlier. So why did it catch on now? There are two principal reasons. First, the international situation has changed hugely from when the United States loomed large over Pakistan. US pressure after 9/11 forced Pakistan to end its support to the Taliban and LeT, albeit only formally. But today China — not America — is Pakistan’s principal economic benefactor as well as its supplier of military hardware. China, in spite of its problematic Muslim Uighur movement, does not mind much the extra-state actors that keep India off balance in Kashmir. It has repeatedly vetoed India’s efforts to get Maulana Masood Azhar onto a UN list of individual leaders linked to Al Qaeda. While China is a signatory to the BRICS declaration against militant groups allegedly harboured in Pakistan, for Pakistan to now give America the finger appears reasonably safe. Second, the success of Operation Zarb-i-Azb created confidence that jihadis who somehow turn bad and direct their guns at the army can always be disposed of. By controlling purse strings, organisations and individuals can be made to act within defined limits. Else the stick will do the job. This confidence was lacking earlier. Major military operations such as Rah-i-Rast, Rah-i-Haq and Rah-i-Nijaat, etc. had been much less successful. But Zarb-i-Azb worked well against a plethora of Islamist groups that included TTP, the militant Islamic State group, Al Qaeda, as well as Uzbek and Chechen militants. Involving around 30,000 Pakistani soldiers Zarb-i-Azb resulted in a measure of calm returning to Pakistani cities. Of course, questions and doubts remain. For example, notwithstanding the grizzly slaughter at the Army Public School exactly on this day three years ago, the security establishment has yet to act against the chief perpetrator of that massacre, Ehsanullah Ehsan, who is in its custody. Nevertheless the army has managed to seize back its public image as the guarantor of peace in Pakistan. The other newly favoured force in national politics — the non-jihadist Barelvi movement — has a different parentage. The TLYRA, led by the foul-mouthed cleric Khadim Hussain Rizvi, owes to a desire for revenge. Over the last 15-20 years, Barelvis and their Sufi Islam have had to retreat before their Deobandi and Salafi opponents who bombed shrines. The Sunni Tehreek’s leadership had been decimated by suicide attacks. But the execution of Mumtaz Qadri and the revived blasphemy issue has reinvigorated Barelvi activism. This is good news for those committed to eternal conflict with India. Just months ago Mian Nawaz Sharif and his PML-N were considered unbeatable in the forthcoming elections of 2018. But the ‘Dawn leaks’ episode revealed a deep conflict with the security establishment — Sharif insisted on some form of accommodation with India and dispensing with militant organisations. Although the Panama Papers sealed his fate, his party has so far survived. Weakening the PML-N further will require peeling off its right-wing vote. TLYRA, MML, and perhaps others have leapt into electoral battle. Shall Tahirul Qadri again parachute himself in from Canada next year? The 2018 elections is likely to bring martial law without martial law. Parts of the deep state see as ideal a weak coalition government with establishment-friendly Imran Khan as prime minister. However CPEC, Kashmir, US, and Afghan policy — and nuclear weapons of course — would firmly remain within the army’s domain. At least for now, this may be the only democracy that Pakistan is likely to get.